Set up in 2006, the Heart of Midlothian Hall of Fame honours the legends that have pulled on the famous maroon jersey. This list celebrates the great players whose grit, skill, dedication and professionalism helped make them a bedrock of our club. Below is an overview of the current Hall of Fame inductees (induction date in brackets). A powerhouse striker or attacking midfielder, Drew Busby was immensely popular in a maroon shirt, because he was always fully committed to Hearts and possessed a truly remarkable work-rate. Drew could also use the ball to advantage and his shooting was legendary, earning him 90 goals in 277 appearances (84 of these in 256 competitive matches), with many scored in spectacular fashion. Although he was born in Glasgow in December 1947, Drew’s home-town is Alexandria in Dunbartonshire. When he left the town’s Vale of Leven Academy, Drew had a spell as an apprentice professional with Coventry City, but then returned north and started work as a machine assembler while also playing football for Dumbarton United. He eventually signed for the now defunct, Third Lanark, in February 1967 and actually scored the doomed club’s final goal in April that year. Drew subsequently played for Partick Thistle and Vale of Leven Juniors, before joining Airdrieonians in June 1970. At the old Broomfield ground, he formed a much-feared striking partnership with Drew Jarvie and the pair helped the Airdrie club to reach the Texaco Cup Final in 1972. However, after Airdrieonians were relegated from the top division, Hearts brought Drew Busby to Tynecastle in May 1973 for a club record fee of £35,000. The uncompromising attacker gave nothing less than 100% over the next six years, during which time he helped Hearts to qualify for the initial Premier Division. Indeed, Drew scored the club’s first goal in this competition, at Dens Park, Dundee, in September 1975. He also played in the Scottish Cup Final in 1976 against Rangers which was immediately followed by the club’s round-the-world tour. 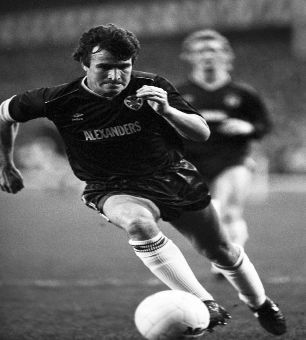 Drew was a key member of the squad that took part in the European Cup Winners Cup the following season. He scored in the unforgettable home victory over Lokomotive Leipzig and also netted in the next round against Hamburger SV. Another highlight came in the Texaco Cup, away to Everton in September 1973, when he scored the only goal of the game. He also made Semi-Final appearances in both the League Cup and the Scottish Cup and, in addition, Drew played in Hearts’ Centenary celebration game in August 1974 against Tottenham Hotspur. After Hearts’ shock relegation in 1976-77, Drew was a prominent of the team that immediately won promotion. On the way back to the Premier Division, on Christmas Eve 1977, both he and Willie Gibson famously scored a hat-trick in Hearts’ 7-0 win at Arbroath and secured the sponsor’s prize of a crate of whisky for every hat-trick scored. Unfortunately, Hearts went down again in 1979 and at the age of 31, Drew moved to Toronto Blizzard in May that year. Hearts suffered a number of hammer-blows during the mid-seventies, but Drew Busby was a light at the end of the tunnel and he always made it worthwhile coming along to Tynecastle, despite the set-backs. After two seasons in Canada, the dynamic 5’8” attacker played for Greenock Morton and became player-manager of Queen of the South. Drew then did some scouting for St.Mirren before moving into the licensed trade where he still runs The Waverley in Dumbarton. Before recent renovations, a giant poster of Drew Busby sat on a floodlight pylon after supporters voted him one of their fourteen favourite players. Born in Edinburgh in March 1958, Walter played for Holyrood School and Links Boys Club before joining the junior side, Newtongrange Star. He then gave up his job as a carpet fitter to sign for Hearts in June 1977. 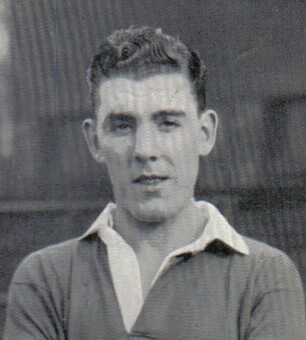 Walter subsequently became one of the club’s most loyal and dedicated servants, playing 544 matches and scoring 15 goals in a maroon shirt (9 of which were scored in 462 competitive appearances). At full-back or in a midfield ball-winning role, Walter never gave less than 100%. If more players had demonstrated his commitment and energy, then Hearts would not have suffered some difficult years in the restructured First Division during the seventies and early eighties. He twice assisted Hearts to promotion and to also win the First Division Championship in 1979-80. 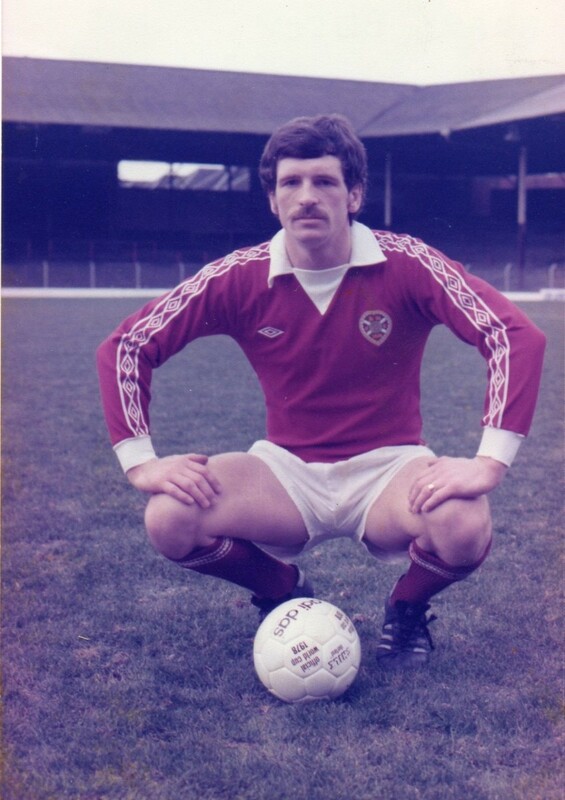 Walter was then appointed captain in January 1983 and the rugged stopper helped Hearts to re-establish its position in the Premier Division in 1983-84 and to make a return to European football. Walter led the team within touching distance of a sensational "double" in 1985-86, but Hearts finished runners-up in the League. Unfortunately, he was then sent-off in the Scottish Cup Final, but only because Walter cared passionately about the club, and he was badly affected by the defeat against Aberdeen. The popular ball-winner was rewarded for his wholehearted service with a Testimonial Match against Everton in October 1987 and he played his part as Hearts finished second in the Premier League that season. Walter was one of the key players that took Hearts back onto the European stage during the eighties and he was in the squad that reached the Quarter Finals of the UEFA Cup in 1988-89. He subsequently went to Airdrieonians in July 1991, but returned to become Hearts’ Reserve team coach in July 1993. Walter later became assistant manager at Falkirk and Airdrieonians. During his entire career at Tynecastle, he always made himself available to support his colleagues and accordingly, Walter Kidd was very popular both on and off the field. He is still to be seen, home and away, supporting the team. Born in Edinburgh in December 1939, Alan is a lifelong Hearts supporter who was immensely proud to captain the club over many years. 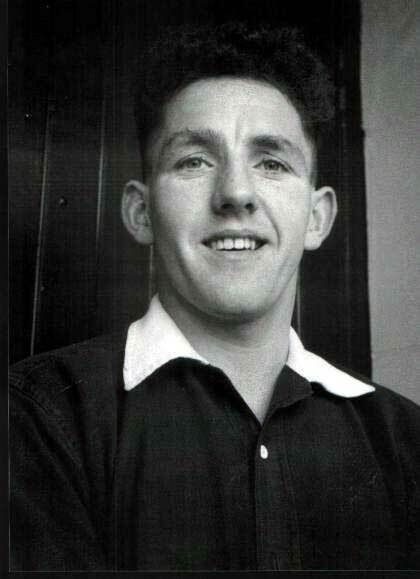 His playing days started with United Crossroads Boys Club and the muscular defender briefly appeared for Dalkeith Thistle Juniors and Falkirk, before transferring to Millwall in September 1959. While in London, Alan finished his apprenticeship as a compositor and in 1961-62, he helped Millwall to win the Fourth Division Championship. In July 1962, a £10,000 fee took the rugged centre-half to Scunthorpe United, but he never settled in the town and in November 1963, at the age of 23, Alan came to Hearts for £1,500. This was surely one of the club’s greatest-ever bargains, because the 6’1” defender became one of Hearts’ most admired players, being a formidable obstacle for opponents and particularly strong in the air. He was also a wonderful servant, playing a remarkable 537 times for Hearts (of which 475 were competitive games). In addition, Alan always had presence at set pieces and he scored a creditable 37 goals (31 in competitive matches). Regretfully, like so many of our fine players, he was always a runner-up, appearing in the 1968 Scottish Cup Final against Dunfermline Athletic; the 1971 Texaco Cup Final against Wolverhampton Wanderers; and being a member of the squad that lost the League Championship on goal average in 1964-65. Alan was a member of the North American touring squad in the summer of 1964 and the inspiring stopper saw some European action in 1965-66. He also represented Scotland seven times on the SFA World Tour in 1967 and assisted Hearts into the initial Premier Division. Alan Anderson retired in May 1976 to pursue a successful career as a publican and hotelier. He might have been brought up in the streets of Leith, a short distance from Hibernian’s ground, but his heart has always been maroon. “Jock” White was a magnificent marksman and he was idolised for his bravery; unselfish approach; dynamic shooting; and film star looks. John is certainly one of Hearts’ greatest strikers, underlined by his record of 183 goals in 312 competitive appearances. He was born in Airdrie in 1897 and started his senior career with Albion Rovers in 1920. That year, John assisted the Coatbridge club to the Scottish Cup Final and he became the only Rovers player to have played for Scotland. His services were in demand and in May 1922, it was necessary for Hearts to pay a club record fee of £2,700 for the striker. He was an instant success and in 1922-23, John was the top marksman in the First Division with 31 goals. His craft was rewarded by four appearances for the Scottish League and in addition, in March 1923, John earned his second full international cap against Northern Ireland. He scored the only goal of the game at Windsor Park, but remarkably, this was John’s last appearance for Scotland. The 5’9” attacker operated at centre-forward and inside-right, and his unerring ability in front of goal was some comfort for the supporters during a generally lean spell for Hearts. The nearest he came to major club honours during his first period with Hearts, was third place in the League in 1925-26. John was appointed captain for 1926-27 and there were many English admirers. As a result, in February 1927, Leeds United paid the remarkable sum of £5,700 for his transfer. At that time, the British record stood at less than £8,000 and as the club was embarking on a massive ground expansion project, this offer could not be refused. John had been top scorer, five seasons in-a-row, and in February 1926, he hit four goals in three successive games (against Dundee United, Alloa Athletic and Hamilton Academical). This might be unique in British football. John White helped Leeds United to regain its place in the top flight and in August 1930, to support Barney Battles in attack, Hearts re-signed the 32-year old marksman from the Yorkshire club for a substantial fee of £2,350. He continued to crack home goals over the next four seasons and was Hearts’ top scorer in 1932-33 and 1933-34. Hearts never had such a more consistent striker and his goals in 1932-33 helped the team to finish third in the League and to also reach the Scottish Cup Semi-Finals. In August 1934, John became a player-coach with the Arsenal nursery side, Margate FC, and he was formally released by Hearts in April 1935. He left with a magnificent scoring record and only three Tynecastle players have scored more than his total of 155 goals in the top division of the League. He also earned 13 winners’ medals in the local competitions and in one of these competitions, the Rosebery Charity Cup in May 1923, his mother watched with pride as her four sons, John, Willie, Tom and James, helped Hearts to a Semi-Final victory over St.Bernards. John eventually returned to Edinburgh to work with Leith Athletic and in addition to his regular job as a blacksmith, John was a respected scout for Hearts. He served in the Royal Navy during the Second World War and passed away in 1986 in his native town of Airdrie. Managed by Jim Jefferies, the 1997/98 Hearts squad are bonafide club legends. 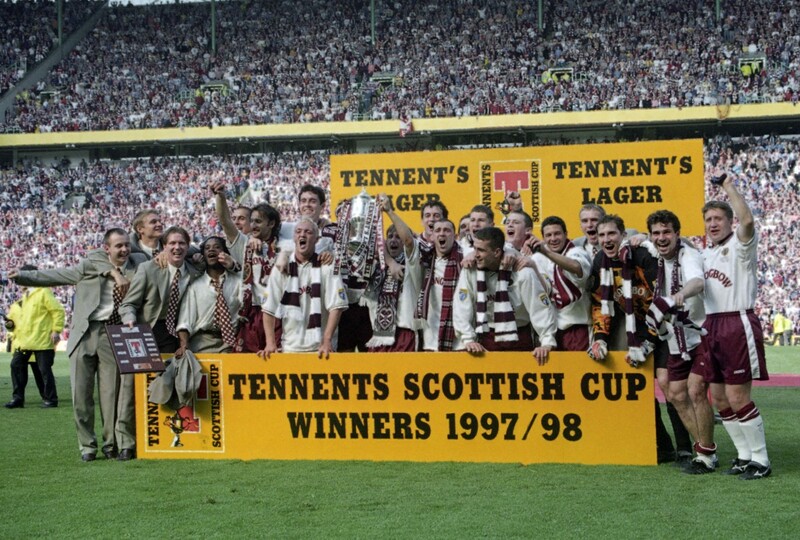 On May 16th 1998, Hearts defeated Rangers 2-1 in the Scottish Cup Final at Celtic Park. It was the day a generation of Jambos thought would never come as the Cup returned to Gorgie for the first time in 42 long years. The celebrations back in Edinburgh that night and the next day were nothing short of remarkable as over 200,000 people took the streets of the capital to salute their heroes. For many a Jambo, this team gave them with the best day of their lives. With 151 goals in 162 League and Scottish Cup appearances, Barney Battles stands tall among Hearts’ greatest marksmen and his club record of 44 League goals in 1930-31, will surely stand for all time. Having moved to Boston, USA in 1923, the 22-year old attacker from Fisherrow, Musselburgh came home during the economic depression and signed for Hearts on 9 July 1928. Barney scored on his debut; recorded his first hat-trick within a month; and played for the Scottish League within two months (scoring five goals against the Irish League). He was top scorer in 1928-29 with a new club record of 31 League goals in 28 appearances and Barney also hit 11 versus Hibernian in the space of a month in three local Cup Finals. Over the season, in all matches, Hearts’ new idol scored an astonishing 63 goals, including 11 on the club’s tour of Scandinavia. After hitting 32 League and Cup goals in 1929-30, Barney scored an astonishing 44 Championship goals in 1930-31, despite being sidelined for a spell with appendicitis.He made one full appearance for Scotland, coming on 25 October 1930 against Wales at Ibrox Park. Sadly, his effectiveness was reduced after a cartilage operation in September 1932 and he struggled through a few more years. Nevertheless, on his day, Barney still had a gift in front of goal. This was proved on 23 September 1933, when Hearts were 4-1 down at home to Cowdenbeath. Barney scored four times in the final twenty minutes to win the match by 5-4. In April 1936 he was finally forced to retire at the age of 30. He left Hearts with a collection of seven local Cup winners’ medals (East of Scotland Shield twice; Wilson Cup twice; Dunedin Cup; Rosebery Charity Cup; and Stirling Charity Cup).On 15 November 1979, Barney Battles passed away at Juniper Green in Edinburgh. 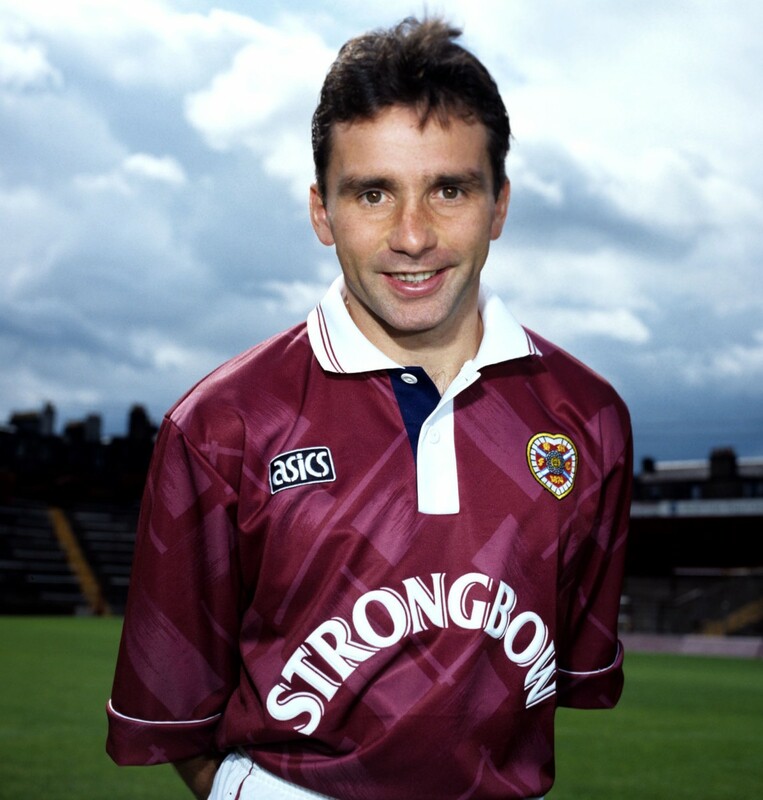 Born on 14 July 1963 in Stirling, John Colquhoun went on to score 101 goals in 496 games for Hearts, 82 of these in 424 competitive matches. The 5’8” winger started his senior career with Stirling Albion, being signed in July 1980. 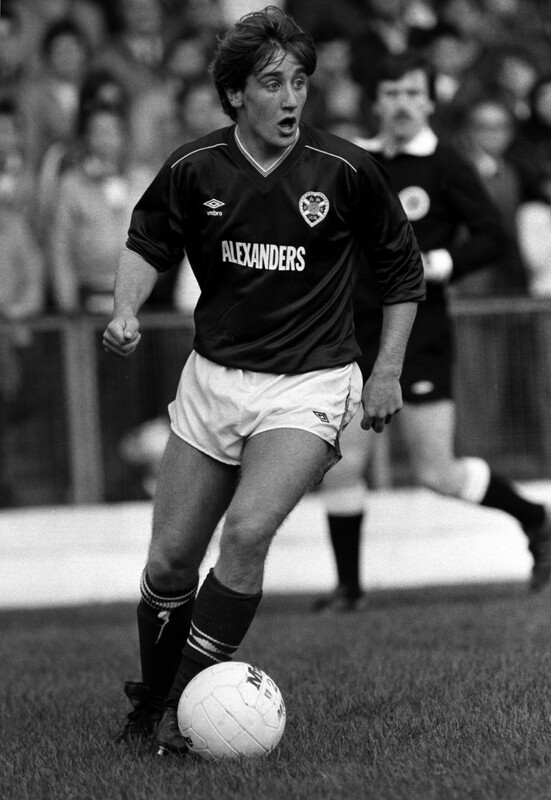 His dynamic forward play and goal-scoring ability earned a £60,000 move to Celtic in November 1983, but John was normally a reserve to David Provan and therefore to secure regular first team football, he moved on to Hearts in June 1985 for a fee of £50,000. John scored on his competitive debut, which was against Celtic, and he was an instant success as he supplied the ammunition for Sandy Clark and John Robertson. This inspired Hearts to runners-up position in the Premier Division in 1985-86 and also to the Scottish Cup Final against Aberdeen. With 15 League goals and countless assists, John also helped Hearts to runners-up position in 1987-88. On a personal note, John deservedly played for Scotland against Saudi Arabia in February 1988 and he also represented his country versus Malta later that year. It came as no surprise when he was lured to England and John moved to Millwall in August 1991 for a fee of £400,000. The dashing wide-man subsequently signed for Sunderland in July 1992 for £220,000. 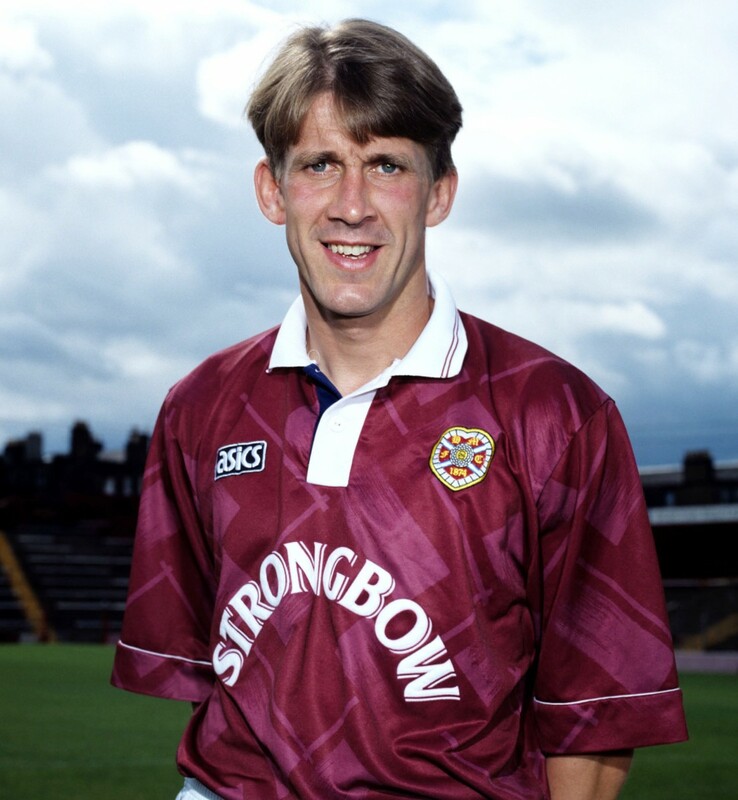 John made a very welcome return to Hearts in July 1993 and helped inspire the maroons to another Scottish Cup Final in May 1996, but although the flying winger scored on the day at Hampden, Hearts went down heavily to Rangers. He played a total of 18 European matches for the club and if only his brilliant effort in the Olympic Stadium had not grazed the post, Hearts might have taken out the mighty Bayern Munich and progressed to the UEFA Cup Semi-Finals in March 1989. He eventually moved to St.Johnstone in March 1997, helping the Perth side to win the First Division Championship that season. 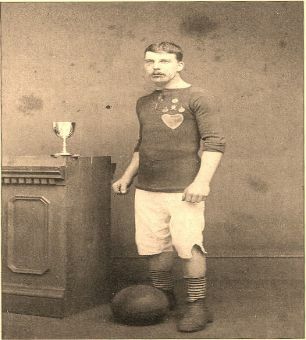 Tom Purdie was a founder-member and first captain of the Heart of Midlothian Football Club in 1874. Under his captaincy, in 1875, the club was strong enough to join the Scottish Football Association and to play in the Scottish Cup. That same year, Hearts became founder-members of the Edinburgh Football Association (now the East of Scotland FA). Tom led the team to its first honour when on 20 April 1878, Hibernian was defeated by 3-2 in the Fourth Replay of the Edinburgh FA Cup Final. He also skippered the Hearts team that won its second honour, the President’s Cup, in May 1879. He then left for London in the summer of 1881 and worked for a rubber company at Tottenham in Middlesex. Tom was also a playing member of Tottenham Hotspur after that club was formed in 1882 and he served on the Londoners’ management committee before returning to Edinburgh in 1894. Tom joined Hearts’ committee and helped steer the club to League Championship success in both 1894-95 and 1896-97, and to win the Scottish Cup in 1895-96. He was also serving when the Scottish Cup was won in 1901, when the first manager was appointed, and when Tynecastle was significantly modernised. In 1903, Tom and his colleagues decided that the club should become a limited company in order to raise capital for stadium and team developments. He was one of the first directors, but in March 1904, after a long and valuable role in the development of the club, Tom retired from the board. In August 1927 he became a Life Member of the Heart of Midlothian Football Club. Sadly he had limited use of his stand seat, because Tom passed away at Davidson’s Mains in Edinburgh on 27 December 1929 at the age of 75. Born in Edinburgh on 14 July 1934, John Crawford was popularly known as Ian to avoid confusion with his father who played for Hibernian and Dundee United before the Second World War. Ian was a plumber to trade and also a brilliant winger who scored 114 goals in 223 appearances for Hearts. The sprightly 5'7" attacker joined Hibernian in July 1951. 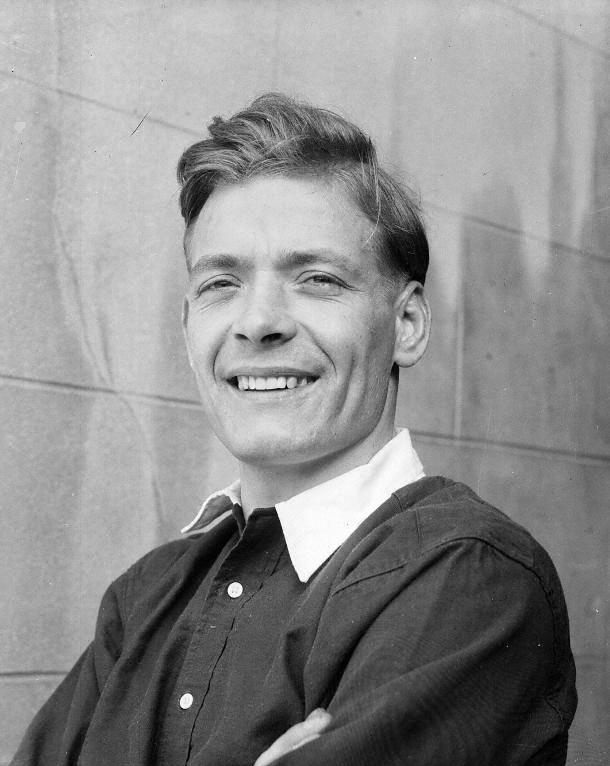 He later became a free agent and was snapped-up by the Hearts Manager, Tommy Walker, in August 1954. Ian made his competitive debut against Motherwell in April 1955 and he scored in Hearts’ 3-2 victory in the League match at Tynecastle. He then established his place in the team in January 1956 and even during National Service, which commenced in November 1955, he was regularly brought home to play from the Queens’s Own Cameron Highlanders base at Inverness. Ian played for the full British Army team at home and abroad, but in April 1956, during one of his spells back home in Edinburgh, he really wrote himself into the history of the Heart of Midlothian. Ian scored two quite magnificent goals in the 3-1 victory over Celtic in the Scottish Cup Final at Hampden Park.In February 1957, Ian played for the Scottish Under-23 side in a 1-1 draw against England at Ibrox. He also contributed 10 and 12 goals respectively during Hearts’ Championship wins in 1957-58 and 1959-60. He earned two Scottish League Cup winners’ medals in 1958 and 1959. He played in Hearts’ first European game on 3 September 1958 and that day in Belgium, he scored the club's first goal in Europe against Standard Liege in the Champions Cup. Ian also played against Benfica in the Champions Cup in 1960.He was transferred to West Ham United in July 1961 for £7,000 and he later played for Scunthorpe United and Peterborough United before enjoying a fine coaching career. After a wonderful life in the game, Ian died at his Peterborough home on 30 November 2007. Alex MacDonald and Sandy Jardine lifted the despair caused by three relegations from the Premier Division and then took Hearts to the brink of a League and Cup double. Although the final hurdle proved just too much, they left Hearts as a club that was once again competing for honours, fielding international-class players and bringing great European nights to Edinburgh. Sandy was born in Edinburgh in December 1948. He was a Gorgie-boy and his father, a city bus driver, was a Hearts fanatic. Although he trained at Tynecastle and played for local juvenile clubs, it was with Rangers that he signed his first professional contract back in 1966. Alex, meanwhile, was born in Glasgow in March 1948, but commenced his senior career with St.Johnstone. 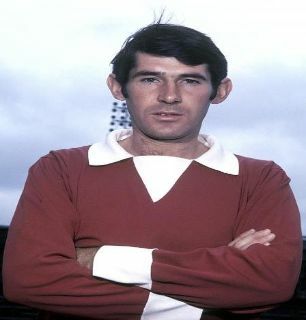 His midfield craft and regular goal scoring helped to make Saints a challenging club and earned Alex a £50,000 transfer to Rangers in November 1968. The quick and classy full-back, and the shrewd and industrious playmaker, then gave Rangers many years of distinguished service with Sandy earning 13 winners’ medals in domestic competition and Alex not far behind with 11. In addition, they both famously featured in the European Cup Winners’ Cup Final in 1972 when Rangers defeated Moscow Dynamo. 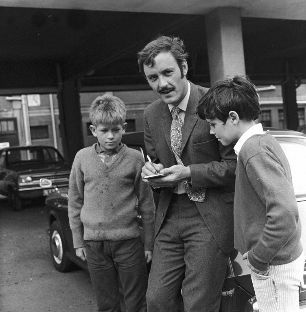 Both played for Scotland with Sandy earning 39 caps for his country and playing at the World Cup Finals in 1974 and 1978. Alex MacDonald signed for Hearts in August 1980 for a fee of £30,000 where he quickly became captain and the most influential player at Tynecastle. After the departure of manager, Tony Ford, the tough Glaswegian became player-coach in December 1981 and stepped-up to become player-manager in February 1982. His appointment was just too late to secure promotion and Alex started a rebuilding job. One of his key signings was his old Rangers colleague, Sandy Jardine, in July 1982. Sandy became assistant manager and captain, and Hearts’ astute management team restored the spirit of the club and led the maroons to promotion in 1982-83. 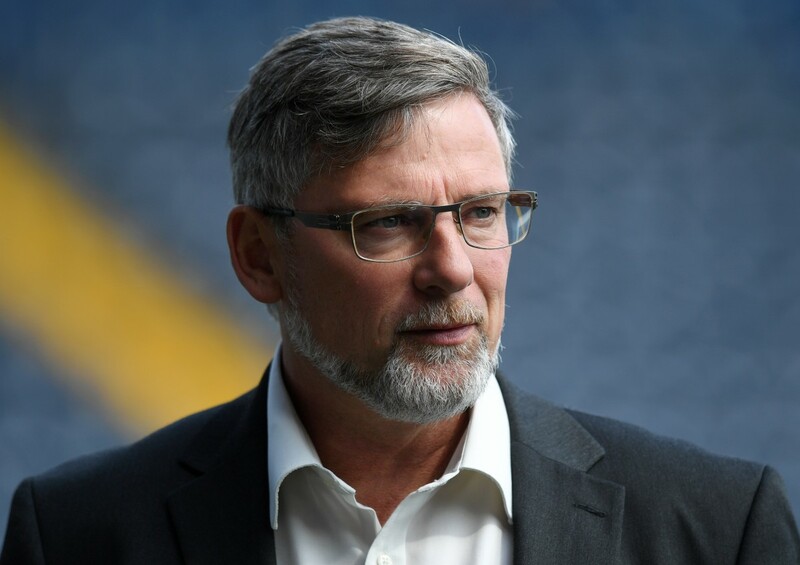 The following season, Hearts earned a place in the UEFA Cup and then in 1985-86, Alex was Scotland’s Manager of the Year, as his team only failed to win the Scottish Championship on goal difference and then lost the Scottish Cup Final against Aberdeen. Alex had more-or-less retired from playing action after scoring 21 goals in 181 appearances for Hearts and his director on the field was the immaculate Sandy Jardine who was voted The Scottish Football Writers’ Player of the Year. 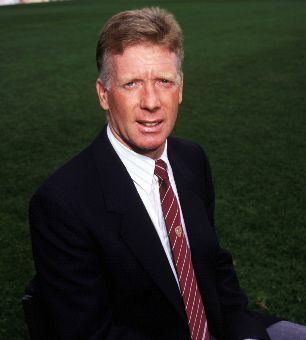 During that memorable season, Sandy also became the first Scot to play in 1000 first-class games.From November 1986 to October 1988, Alex shared the managerial role with Sandy and Hearts were again runners-up in the Premier Division in 1987-88, while also reaching the Scottish Cup Semi-Finals for a second successive year. Sandy then left Tynecastle having played 277 matches for Hearts. Under the sole command of Alex MacDonald, Hearts famously defeated Bayern Munich in the Quarter Final First Leg of the UEFA Cup in 1989. Alex then left Tynecastle in September 1990. He went on to enjoy a long and successful spell in charge of Airdrieonians, taking the Lanarkshire club to two Scottish Cup Finals. Alex MacDonald and Sandy Jardine knew football inside-out and were able to bring the best out of players. As a result they brought team spirit back to Tynecastle and restored Hearts’ pride. It was immensely sad to learn that Sandy Jardine had passed away on 24 April 2014 but he is remembered for his contribution to the club in Hearts’ Memorial Garden. A commanding, athletic and so often inspiring goalkeeper, Jim Cruickshank gave the Hearts outstanding service over a remarkable period of seventeen years, during which he was worshipped by the supporters. To the astonishment of the Edinburgh public, Jim only received six Full International caps, but these were spread between 1964 and 1975, which underlines his wonderful level of consistency. The 5’11” keeper was born in Glasgow on 13 April 1941 and was signed by then Hearts manager Tommy Walker in June 1960. Jim made his competitive debut on 15 October 1960 against Ayr United, and then after Gordon Marshall was transferred to Newcastle United in June 1963, he took over as Hearts’ regular custodian. Jim quickly won the admiration of the public and in May 1964, he made his first Full International appearance, against West Germany at Hampden. Apart from brief spells, Jim held the number one spot until 1977, playing a remarkable total of 610 games for Hearts. This included 394 League matches where his 102 Championship shut-outs was a club record until overtaken by Henry Smith. Jim also took part in ten European games for Hearts and unfortunately, he was in the losing Scottish Cup Final teams in 1968 (versus Dunfermline Athletic) and 1976 (versus Rangers). He also helped Hearts to qualify for the initial Premier League season, 1975-76. In December 1975, he was honoured by the supporters at a special Gala Night. Jim was then released in May 1977 after the club had suffered relegation for the first time. He subsequently signed for Dumbarton and played for a year before retiring. After finishing his football career, Jim came back to Edinburgh where he was a publican, shopkeeper and latterly worked in the NHS. It was very sad to record that this magnificent goalkeeper passed away in the capital on 18 November 2010. Standing a powerful 6’1” tall, Gordon Marshall was a dominant goalkeeper with a keen eye for a cross ball and a very safe pair of hands. Unfortunately for Scotland, due to the fact that his Scottish-born father was in the British Army, the big keeper was regarded as English and indeed, the Football Association would eventually award Gordon Marshall an Under-23 International cap. Gordon signed for Hearts in July 1956 and made his competitive debut in November 1956 in the 3-2 League victory over Kilmarnock at Tynecastle. The big keeper played mainly in the reserve team until breaking into the senior side on a permanent basis in March 1957. From this point, Gordon never looked back and he went on to play a leading role in some remarkable seasons for Hearts, making a total of 338 appearances. With a rock-solid goalkeeper in the rearguard, Hearts won the Scottish League Championship in both 1957-58 and 1959-60. In that first title success, the team conceded only 29 goals in 34. Gordon also played his part in three Scottish League Cup Finals wins: 5-1 against Partick Thistle in 1958; 2-1 against Third Lanark in 1959 and 1-0 against Kilmarnock in 1962. Gordon also appeared in all the Hearts early European adventures in both the Champions Cup and the Inter Cities Fairs Cup, keeping goal against Standard Liege, Benfica, Union St.Gilloise and Internazionale Milan. After recording a very creditable 84 shut-outs in his 338 games, Gordon Marshall was signed by Newcastle United in June 1963 for a fee of £17,500. He then assisted his new club to win the Second Division Championship in 1964-65. 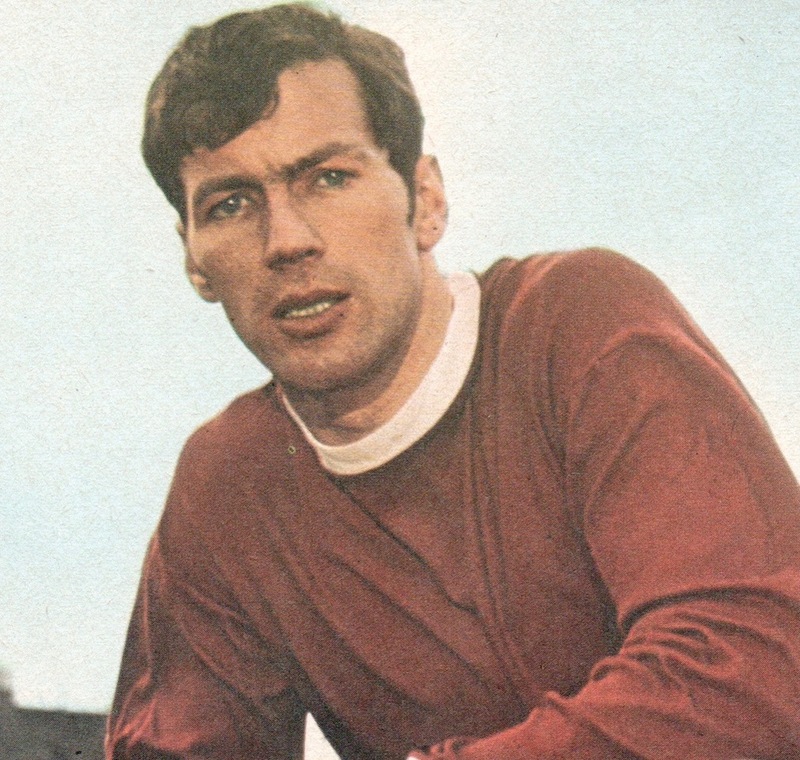 After almost 200 competitive games for Newcastle, Gordon moved to Nottingham Forest in October 1968 and then he signed for Hibernian in April 1969. Gordon subsequently played for Celtic, Aberdeen and Arbroath before retiring in 1978. Gordon ran a newsagent’s shop in Edinburgh’s West Maitland Street for a number of years and he is still a regular and popular visitor to Tynecastle. A small, stocky and dynamic inside-forward who was born in Prestonpans in October 1926 and signed for Hearts in June 1944 from Inveresk Thistle Juveniles. Alfie developed into one of the most industrious and intelligent players in Scotland, a superb link-man between defence and attack, and a noted goal soccer. The 5’7” schemer made a quick breakthrough towards the end of the Second World War but received a setback after a knee injury required a cartilage operation. Accordingly, it was 1948 before his talent was fully recognised following the creation of his famous partnership with Bauld and Wardhaugh. In October 1954, Alfie starred in the sensational League Cup Final victory over Motherwell that secured the vital goal that sealed the 3-1 victory over Celtic in the 1956 Scottish Cup Final. 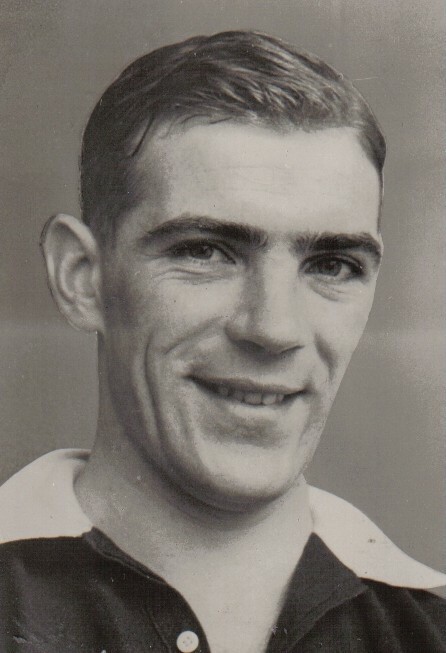 Alfie completed a hat-trick of domestic honours in 1957-58 as Hearts raced to the League Championship, although an ankle injury restricted him to only five appearances during which he hit four vital goals. Alfie was capped only once and scored in Scotland’s 1-1 draw with Austria in 1956, but he was also honoured three times by the Scottish League. In September 1958 after 408 games and 221 goals, the tenacious midfielder moved on to Raith Rovers for £2.250. He later had a spell in South Africa with Johannesburg Ramblers before coming back to play for Gala Fairydean. Alfie was manager of Raith Rovers for a spell and then left the game to become a sales director with a paint company. His son would also pull on a maroon shirt. Donald was born at Linlithgow in October 1944 and the nimble and fast winger played for Vale of Avon and Bo’ness United Juniors, before Tommy Walker recruited the 19-year old attacker in July 1964. Donald played as an amateur until he qualified as an accountant and during that time, he earned nine Amateur International caps. He turned professional in February 1967 and switched to centre forward with considerable success, his speed and sharpness making him Hearts’ top scorer for almost a decade. Donald eventually scored a splendid 188 goals in 436 games, with 143 of these in 369 competitive matches. In the early years of his career, Donald suffered the disappointment of playing in the squad that lost the League on the final day of season 1964-65 and he was also a member of the teams that lost the Scottish Cup Final in 1968 and the Texaco Cup Final in 1971. However, he regularly produced memorable performances, such as scoring a hat-trick in November 1972 when Hearts came back from 2-0 down to win 3-2 at Aberdeen with only ten men. In addition he hit a unique hat-trick of penalties in a 3-2 win over Morton in September 1973 and he also scored in the historic Centenary Match against Spurs in August 1974 which ended in a 1-1 draw. Donald reached his peak in 1973-74 with 18 League goals and he also played for Scotland on three occasions. In addition, the Tynecastle marksman appeared three times for the Scottish League and made the pool for the World Cup Finals. Donald helped Hearts to qualify for the first Premier Division but then struggled with a knee injury and was released in May 1976. The dashing forward went to Falkirk before retiring in 1977 and he subsequently ran an accountancy business; served on the Sports Council; was opening batsman for West Lothian; worked in the media; and was on his local council. Now a landscape photographer, Donald Ford ranks as one of the finest strikers in the club's history. Jim is a legend, not only because he coached the team to victory in a Scottish Cup Final, but because he was proud to be Hearts’ captain during an expansive career in maroon. Born in November 1950 at Musselburgh and raised in Prestonpans, Jim played for Prestonpans YMCA and Gorgie Hearts, before coming to Tynecastle at seventeen. He was farmed out to Gala Fairydean, but returned in 1969 to become a forceful defender. His commitment made him an ideal skipper and Jim led Hearts to the First Division Championship in 1980. He also helped Hearts to promotion in 1978 and in addition, Jim played in the Texaco Cup Final in 1971 and the Scottish Cup Final in 1976. Around that time, had everyone given as much to the club as Jim Jefferies, Hearts would have avoided some embarrassing seasons in the First Division. In 1981, after scoring 6 goals in 349 games for Hearts (309 being competitive matches), he played for Berwick Rangers, before managing Lauder United, Hawick Royal Albert and Gala Fairydean. In 1988, Jim returned to Berwick Rangers as manager and forged a long standing and important partnership with his assistant, Billy Brown. He went to Falkirk in 1990 and twice led the “Bairns” to the First Division Championship and also to the Challenge Cup. 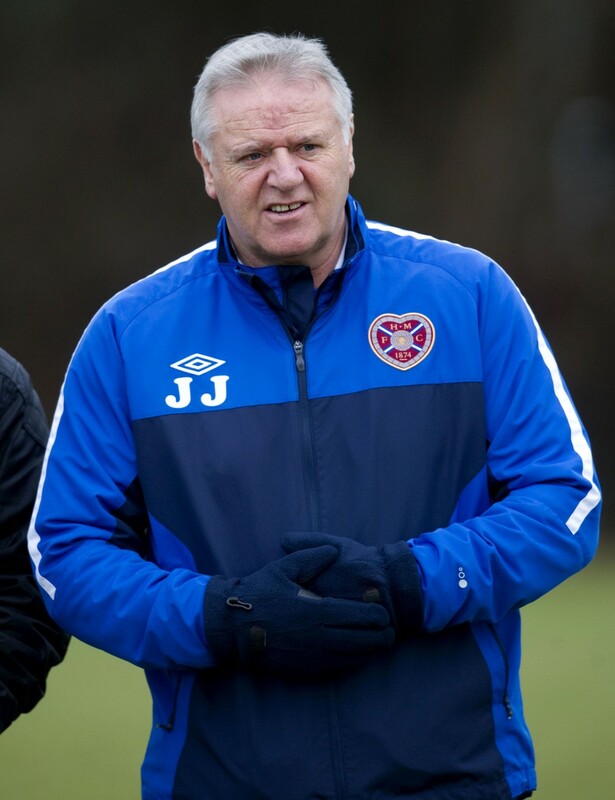 However, in July 1995 Jim moved back to Hearts and reshaped the squad which then reached the Scottish Cup Final in May 1996 and the League Cup Final in November 1996. In addition, Hearts were third in the Premier Division in 1997-98, back in Europe on a regular basis and once again producing International players. Then in May 1998, the supporters celebrated the success of Jim’s team in the Scottish Cup Final against Rangers. Although Hearts were third in 1999-2000, he was lured to the English Premiership club, Bradford City, in November 2000. An 8 year spell with Kilmarnock followed before in returned to manage Hearts in 2010, helping the club finish third that season. Henry was an international-class goalkeeper who had safe hands, agility and great consistency, and only John Robertson and Gary Mackay can match his astonishing total of 701 games for Hearts. However, Henry’s 214 shut-outs in 598 competitive games is a club record that could stand for all time. The 6’2” keeper was born in the Lanarkshire village of Rigside in March 1956, but he was raised in Hemsworth, Yorkshire, where he became a miner after leaving school. Henry also played football for Frickley Athletic and then Winterton Rangers, where a £10,000 fee took him to Leeds United. Henry found it difficult to make the breakthrough and was delighted when Tony Ford signed him for Hearts in July 1981 for a bargain fee of £2,000. He immediately established his place in the team and was outstanding as Hearts won promotion from the First Division in 1982-83. Henry’s performance then assisted Hearts to win a regular place in Europe. 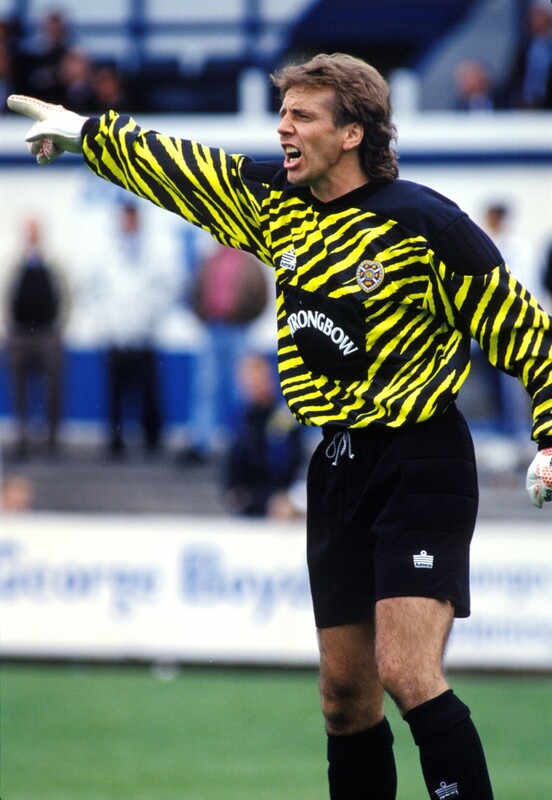 The popular keeper also helped the club to runners-up position in the League on three occasions (1985-86; 1987-88; and 1991-92) and to the 1986 Scottish Cup Final. He was a fixture at Tynecastle for nearly 15 years. Henry was rewarded by three caps for Scotland, making his first appearance in February 1988 against Saudi Arabia. He also played for the U21 side as an over-age player. With 22 games, only Steven Pressley can equal Henry’s European appearances for the club and he richly deserved his testimonial in August 1993 against Everton. Henry went to Ayr United in January 1996 and he subsequently played for Glenafton Athletic Juniors, Gretna, Clydebank and Berwick Rangers, where he was player-coach. Henry was later the manager of Whitehill Welfare and even played for Linlithgow Rose at the age of 49. He was one of the finest goalkeepers ever to appear for Hearts and it would be impossible to calculate how many times Henry has turned a game in our favour. Bobby was the most accomplished playmaker in Britain before the Great War and when he retired in 1913, he was Scotland’s most capped player with 29 appearances for his country, including a record 11 games against England. He also represented the Scottish League on 14 occasions and played in one Unofficial International. Born in Edinburgh in January 1879, Bobby became a Junior International with Dalry Primrose before signing for Hearts in April 1896. He played three games when the Scottish League Championship was won in 1896-97 and during his distinguished career, Bobby helped Hearts to the runners-up position on three other occasions. His range of dribbling and passing skills always made his colleagues shine and he inspired the team to success in the Scottish Cup Finals of 1901 and 1906, while Bobby also played in the losing Finals of 1903 and 1907. This local hero was an automatic choice for Scotland between 1900 and 1913 and he was the first Hearts player to score 100 League goals. 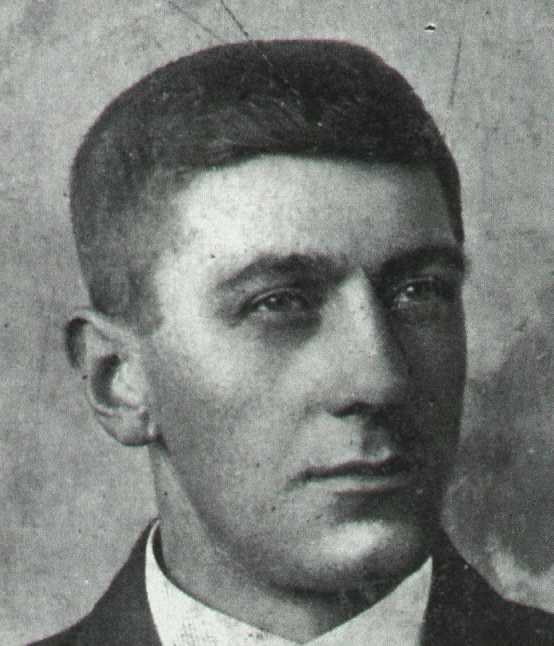 When he eventually retired, Bobby Walker had spread the fame of the club more than any other player and even King Haakon of Norway specifically came to watch his skills, during Hearts’ first overseas tour in 1912. Bobby liked a beer with his fellow supporters, but this was never held against him, because the midfield genius pulled Hearts out of difficult situations, time and time again. He scored just over 250 goals in nearly 650 games and in August 1904, his benefit match against Celtic drew an appreciative crowd of 6,000. In September 1912, Sir Harry Lauder set in motion a national testimonial and when Bobby finally retired in May 1913, he received 250 gold sovereigns and an inscribed pocket watch. He was proud to become a club director from 1920 to 1924, but sadly, in August 1930, at the age of only 51, Bobby died after a short illness. Many thousands lined the streets around North Merchiston Cemetery, where a true legend was buried alongside his mother. As Hearts manager, Tommy was the architect of our finest teams that won every domestic trophy and played in European competition for the first time. Tommy also enjoyed a distinguished playing career with his passing, dribbling and shooting skills being acclaimed, as was his sporting approach. He was born at Livingston Station in May 1915 and the Schoolboy International had experience with Berryburn Rangers, Livingston Violet, Broxburn Rangers and Linlithgow Rose, before signing a professional contract with Hearts in May 1932. He then became Britain’s most admired playmaker and in 1934 at the age of 19, Tommy won the first of 20 Full International caps. The 5’9” midfielder also won League International and Wartime International honours and played for the SFA on the tour of North America in 1935. But for the Second World War, Tommy would certainly have been Hearts most capped player and the Tynecastle hero scored 9 goals for Scotland including a famous penalty equalizer against England in 1936 and the winner at Wembley in 1938. English clubs often tried to tempt him away and when Arsenal looked set to offer £12,000 for his transfer, Hearts fans held protest meetings which were heavily supported by the media. Including Wartime fixtures, the elegant inside forward scored a remarkable 184 Championship goals for Hearts and he assisted the maroons to the Scottish Cup Semi-Finals in 1935; to runners-up position in the League in 1937-38; to second place in the East & North League in 1939-40; and to the Wartime Cup Final in 1941. 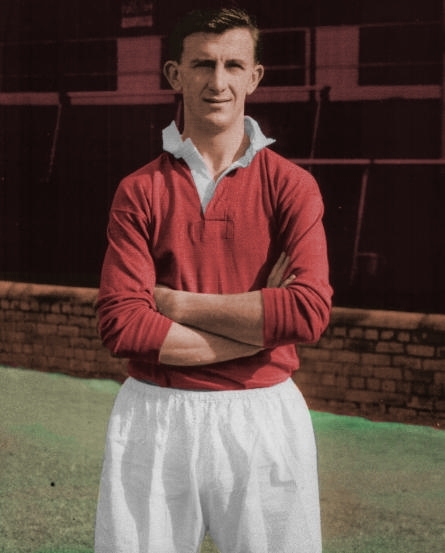 Tommy was awarded a testimonial against Derby County in 1938 but in 1940, at the peak of his career, the War took him away from the city. He played military football in Britain and overseas and Tommy was also a guest player with Chelsea and Bradford Park Avenue. At all times, he enhanced the reputation of Hearts and following his return, Chelsea paid £6,000 for his transfer in September 1946. The gentleman footballer came back to Tynecastle in December 1948 as assistant manager to David McLean and he took full control in September 1951 on the death of the club’s respected manager. Tommy then led Hearts through its finest era and in record breaking style, his teams won the League Championship twice; the Scottish Cup; and the Scottish League Cup four times. The Queen awarded Tommy Walker an OBE in 1960 and his contribution to the fame of the Heart of Midlothian is unsurpassed. Tommy left in September 1966 and after working with Dunfermline Athletic and Raith Rovers he made a very welcome return to join the Hearts board in October 1974. He retired in 1980 and passed away in 1993. Until overtaken by John Robertson, Jimmy was Hearts' leading league goalscorer with a magnificent total of 206 goals in 304 games. However, his overall total of 376 goals in 518 games might stand for all time. In addition to his goals, Jimmy was an elegant footballer with fine control, passing and dribbling skills. His work rate was of the highest order and he had the ability to spot and exploit weakness in the opposition. He was born at Marshall Meadows near Berwick in March 1929 but moved to Edinburgh as a youngster and it was from Shaftesbury Park Juveniles that he signed for Hearts in March 1946. His amazing footwork then earned him the nickname "Twinkletoes"
Alex Young was one of the most dazzling forwards of his generation with a range of passing and dribbling skills that could open up any defence. The 5'8" attacker was also a prolific scorer, hitting 150 goals during 249 games for Hearts, 101 in 197 competitive matches. Alex was born in February 1937 at Loanhead and he played for Broughton Star Juveniles, Musselburgh Union and Newtongrange Star Juniors before Tommy Walker, recruited him for Heart of Midlothian in August 1954. The former Junior International started as a part timer also working as an engineer in Burghlee Colliery. Nevertheless, Alex proved to be a sensational discovery and earned six Under-23 caps. He later represented the Scottish League and played 6 times for Scotland (scoring three goals) before leaving Tynecastle. The classy forward played in the victorious Scottish Cup Final team in 1956 and contributed 24 goals during Hearts’ Championship success in 1957-58. Alex also netted one of the goals when Hearts defeated Third Lanark 2-1 in the League Cup Final in October 1959. That year he started National Service and played for the British Army. His skills were also admired world wide during Hearts’ overseas tours during the late fifties. At centre forward or outside right, Alex secured a second League winner's medal in 1959-60 when he scored 23 Championship goals. He was lured to Everton in November 1960 for a fee of £42,000 and Alex became the "Golden Vision" of Merseyside hitting over 100 goals and helping to win the Championship in 1963 and the FA Cup in 1966. He also played for Scotland on two further occasions before leaving for Glentoren and then Stockport County. Alex was forced to retire in 1969 through arthritis in the knee and he came home to run a number of businesses in the Midlothian area. Born in Aberdour in October 1964, Craig would have gone on to be the finest sweeper in Britain, had he not suffered a series of knee injuries which required major surgery. The cool and assured defender was an outstanding prospect at Cowdenbeath and he was secured by Hearts in November 1983 for a fee of £30,000. Craig was the SPFA Young Player of the Year in both 1984 and 1985, and a star man as Hearts came so close to the League and Cup “double” in 1985-86. However, he had to rebuild his career after two knee operations, but did so in style and became an established Scottish international, earning 16 caps and playing at the 1990 World Cup Finals. With his strength, pace and skill on the ball, he became Hearts captain and even led Scotland against Germany, Sadly, Craig was to suffer further knee injuries and was forced to give up playing in 1997 after 462 games for Hearts during which he hit 17 goals. He subsequently coached at Livingston before taking over a manager of Cowdenbeath and then stepping up to the Hearts job in December 2000. Craig guided Hearts to third place in the Premier League in successive seasons and the club played regularly in Europe before he went to Leicester City in October 2004. Craig is the current director of football at Tynecastle. Standing nearly six feet, Freddie was a powerful and intelligent centre-half and a star performer throughout the fifties. He was born at Newmains in July 1928 but brought up in Stoneyburn where he was spotted by Hearts playing juvenile football for Murrayfield Rovers. Freddie was signed provisionally in July 1945 and after spells with West Calder Home Guard XI and Whitburn Juniors, he was farmed out to Newtongrange Star. He had real presence at right-half or centre-half and earned two International caps for Scotland in the Junior Grade. He was called up to Tynecastle in 1948 and made his first team breakthrough in 1951, eventually recording 270 appearances and scoring 3 goals. The big defender was a part time player during much of his career, combining football with his job in the West Lothian Water Board, but he never lacked stamina or commitment. 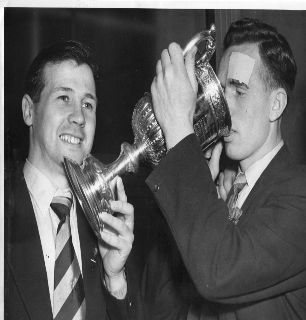 Freddie helped Hearts to win the League Cup in both October 1954 and October 1958 and he was also a member of the squad that won the League Championship on 1957-58. His greatest moment however came in 1956 when he captained the team to victory over Celtic in the Scottish Cup Final. Freddie played in Hearts’ first European Cup matches and was four times a reserve for Scotland prior to joining Dumbarton in March 1959. He retired in 1962 and was later a sub postmaster for oven twenty years. 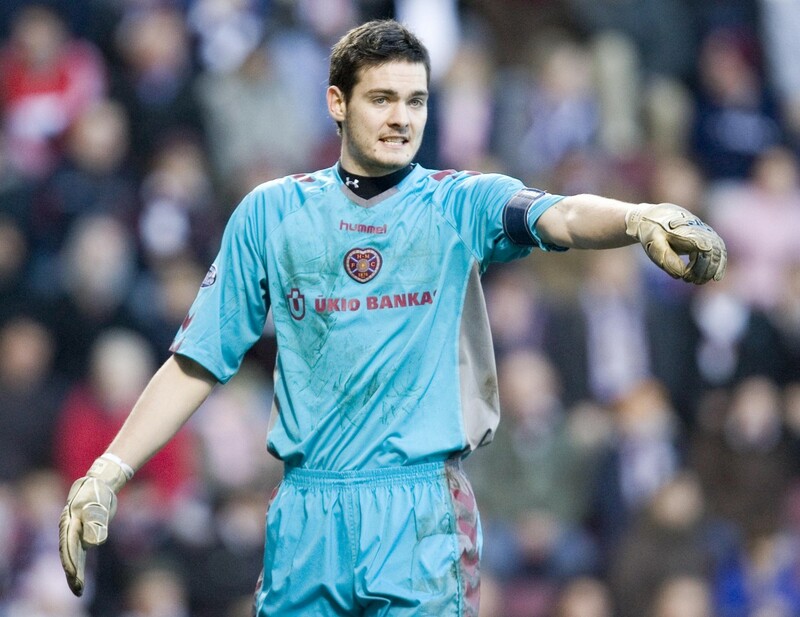 When Craig left Hearts to join Sunderland in 2007, he became the most expensive goalkeeper to sign for a British club. The £9M fee may have been a bargain. Craig’s performances throughout season 2005-2006 were certainly instrumental in Hearts securing a Champions League qualification place and he made sure that the Tennent’s Scottish Cup came back to Edinburgh with a remarkable save during the penalty shoot-out against Gretna. He has also appeared for the national Youth, U21 and Future teams and was Scotland’s Young Player of the Year in 2002-03. The composed 6’4 keeper has considerable European and international experience and his sure handling and commanding performances, particularly in the World Cup, have confirmed his place as a Scotland regular. Craig played 175 games for Hearts, before his record breaking move south. Sadly Craig suffered a series of injuries which may have prevented him establishing himself as one of the world’s greatest keepers. Since moving to Celtic in July 2014 Craig has enjoyed a resurgence in his career and continues to perform fantastically for Celtic and for Scotland. The "King of Hearts" was idolised, not only because he scored 355 goals in 510 appearances, but because his football brain conceived many others for his colleagues. Everything he did had class and even at 5'8" Willie possessed unequaled heading ability. Born in January 1928 in the Edinburgh mining community of Newcraighall, Willie played for the Boys Brigade, Edinburgh Waverley and Musselburgh Union from whom he was provisionally signed in April 1946. The brick maker's apprentice was then farmed out to Musselburgh Athletic and Newtongrange Star and loaned to Edinburgh City before being recalled in 1948. 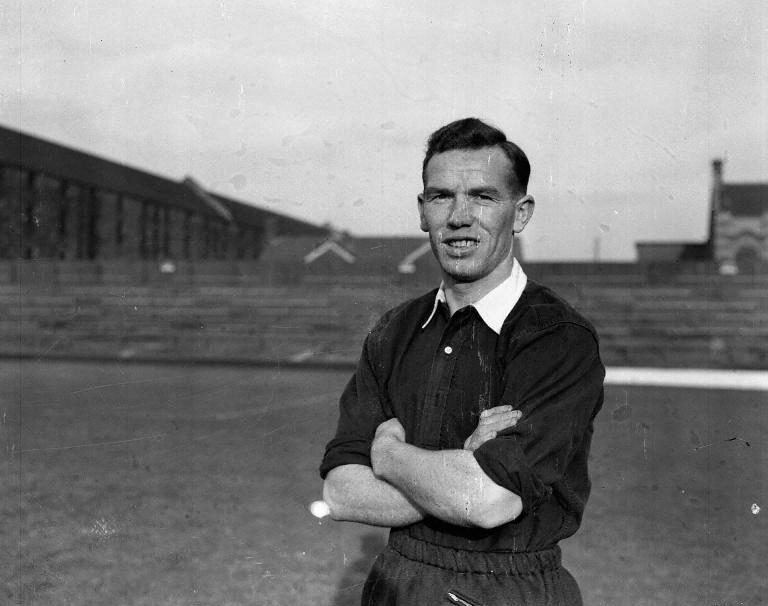 Then on 9 October 1948, Willie scored a hat-trick against East Fife on his debut in a national competition and hit another treble the following week. He was an instant hero and the man to spearhead the "Terrible Trio", the finest attacking partnership in the club's history. Willie led Hearts to a decade of success hitting a hat-trick in the League Cup Final of 1954, bringing the club its first major honour in 48 years. He scored two goals in the League Cup Final of 1958 and led the attack when the Scottish Cup was won in 1956. He was a key member of the Championship winning squads in 1957-58 and 1959-60. Willie received a testimonial against Sheffield United in 1962 but tragically in March 1977, he died a young man. During his illustrious Hearts career, John made 612 appearances, scored 58 goals and was a driving force of the teams that won the Championship in 1958 and 1960; and the League Cup in 1954, 1959 and 1962. He also inspired Hearts to win the Scottish Cup in 1956 and took part in the club’s initial European campaigns. 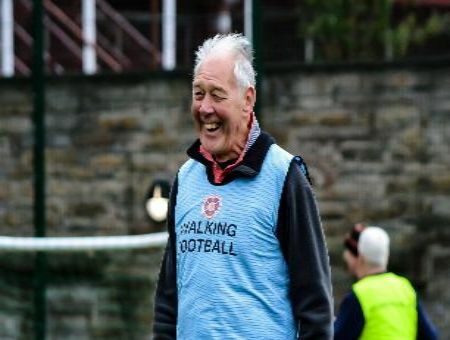 Born in Carluke in March 1930, the ex-miner played for the YMCA and Castlehill Colliery before moving to Carluke Rovers where he attracted Hearts attention. 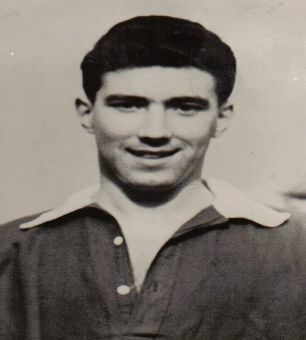 John was provisionally signed in 1948 and the dashing left winger then did this National Service and was successful in the Army Cup Final in January 1950, he signed full-time for Hearts and played on the left wing until 1953 when John moved to left back and subsequently any half back position. He was renowned for his fearless and resolute tackling while his never-say-die attitude inspired his colleagues. John drove the team from defence to attack and his spirit was never better seen than in the Cup Final against Celtic. That day he commanded the midfield despite concussion and having to leave the field to have four stitches inserted in a gashed forehead. 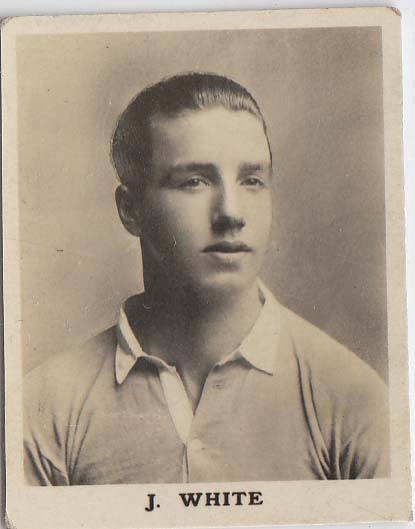 John earned nine caps for Scotland; seven for the Scottish League; and two for the “B” team. When he stopped playing in 1967 he was appointed trainer and he served with distinction until 1976 when he retired and went to work in the coal industry. John richly deserved his testimonial in 1980. The midfield general was an exciting and direct attacker who had the pace and skill to influence matches and was a major asset to the team. He was hugely popular with the Tynecastle faithful and was a regular Scottish international, making 25 appearances for his country. Born in Ballieston in October 1976, his first senior club was Hamilton and then Paul had spells with Millwall, Raith Rovers and Hibernian. He helped Hibs to win the First Division Championship but did not settle and was on loan to Morton before being recruited by St Johnstone in July 2000. 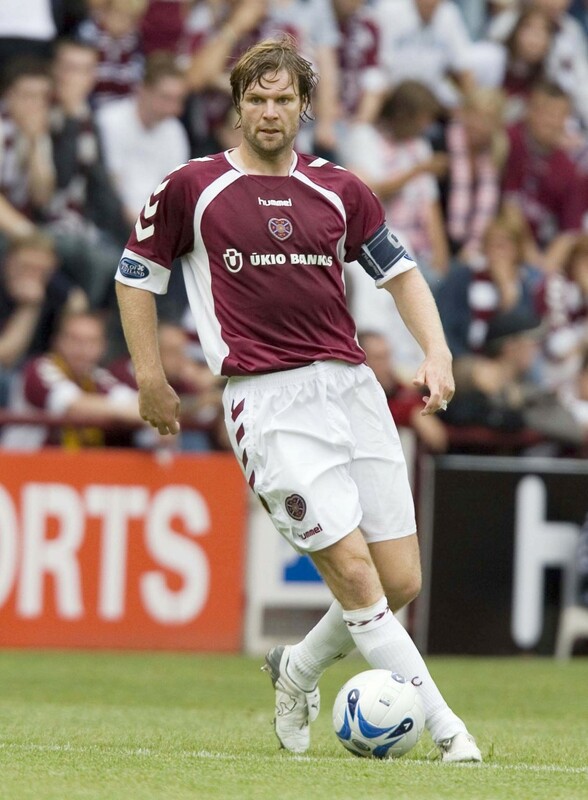 Hearts secured his services in June 2003 and Paul and was influential in the team that went on to earn third place in the Premier League. 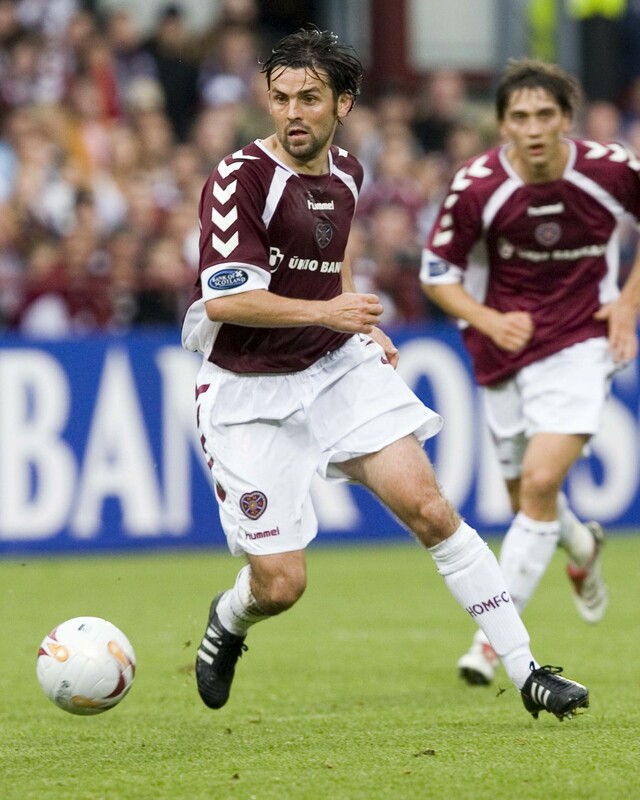 That season, Paul also played in Europe for the first time and the following term, he helped Hearts to reach both the League Cup and Scottish Cup Semi –Finals. In addition, he played for Scotland “B” against Germany in December 2004 and then made his full international debut in the crucial World Cup match against Italy in March 2006. His goals from midfield played a massive part in Hearts finishing second in the League and earning a Champions League qualifying place. His contribution to the winning of the Scottish Cup was also outstanding with his hat-trick against Hibs in the Semi Final being the stuff of legends. Paul scored 38 goals in 149 games for Hearts, before moving on to enjoy spells with Celtic, Bristol City and Aberdeen. As a manager he also gained success, firstly takiing Alloa from the bottom tier to the second tier in successive seasons as well as taking Dundee back into the Scottish top flight. In all achieving three successive promotions in his first three seasons in management. Probably the most complete midfield player that Scotland has produced, Dave was a tough ball winner, a skilled passer and a regular goal scorer. He also had leadership qualities and many supports believe his spirit and drive turned the Hearts team into winners. Dave was born in Edinburgh in 1934 and played for Scotland at Schoolboy level before joining Slateford Athletic Juveniles, where he signed on a provisional basis for his favourite club. The apprentice joiner was farmed out to Newtongrange Star where he earned Junior International honours before recall in 1953. Dave was outstanding in the team that won the League Cup in October 1954. This was followed by the Scottish Cup in 1956 and the record breaking League Championship success in 1957-58, when Dave was captain of Hearts. On a personal note, he won four U23 International caps and three League International honours. He also made the first of 22 full international appearances (four with Hearts) against Spain in 1957. In addition, the Tynecastle hero was Scotland’s Player of the Year in 1958 and went to the World Cup Finals that year. He played in the side that won the League Cup Final in October 1958 but was transferred to Tottenham Hotspur in March 1959 for a fee of £32,000. The hard midfielder won the League Championship and three FA Cup medals and although he missed the Final, Dave also helped Spurs to win the European Cup Winners Cup. In 1962, Dave represented the Football League and had further success with Derby County and Swindon Town. He subsequently managed Nottingham Forest and led Derby County to the English Championship before coaching in the Middle East and also managing Walsall, Doncaster Rovers and Birmingham City. Sadly, Dave never managed his hometown club, but nevertheless he had thrilled the Hearts fans scoring 32 goals in 208 games, including the club’s first European ventures. Born in Edinburgh in January 1964, Gary is very much a local hero who gave Hearts over 16 years of dedicated playing service. After signing from Salveson Boys Club in July 1980, he smashed all the appearance records, with 737 for the club, including a record 515 league matches. Gary also scored a very creditable 88 goals, but his main asset was his midfield graft and skills, which brought out the best in his colleasgues. He helped Hearts to achieve runners-up position in the Premier Division on three occasions and played in the Cup Finals of 1896 & 1996. In addition, Gary appeared in the League Cup Final in season 1996-97. At his peak. he earned four international caps and he played a remarkable 21 European games for Hearts. When Gary kissed the badge je really meant it and he deserved his Testimonial Match against Everton in May 1991. He went to Airdrie in March 1997 and later became the 'Diamonds' manager. The ex Heart of Midlothian captain hit a career high in May 2006 when he led the team to victory in the Tennent’s Scottish Cup Final. Once again on the big occasion, he was an inspiration to the players that also achieved a Champions League qualification place. An outstanding captain, Steven earned a regular place in the international side made 32 appearances for Scotland. Born in Elgin in October 1973, Steven started with Rangers earning winners medals in the League and Cup before moving to Coventry City in 1994. A £750,000 fee took Steven to Dundee United in 1995 and his authority at the back helped United to finish third in the Premier Division in 1996-97. He went to play in the UEFA Cup and help United to the League Cup Final before his contract expired and Steven signed for Hearts. After playing in a number of positions he settled at centre half, eventually taking over as club captain in August 2001. Born in Edinburgh in October 1964, John is possibly the greatest scorer in Hearts histroy, breaking a number of established records after he was signed from Edina Hibs Boys Club in January 1981. John made his debut in February 1982 and after he started scoring, he never stopped, eventually hitting 310 in 720 matches for teh clubs. This might have been more but John went to Newcastle in April 1988 for a fee of £625,000.. 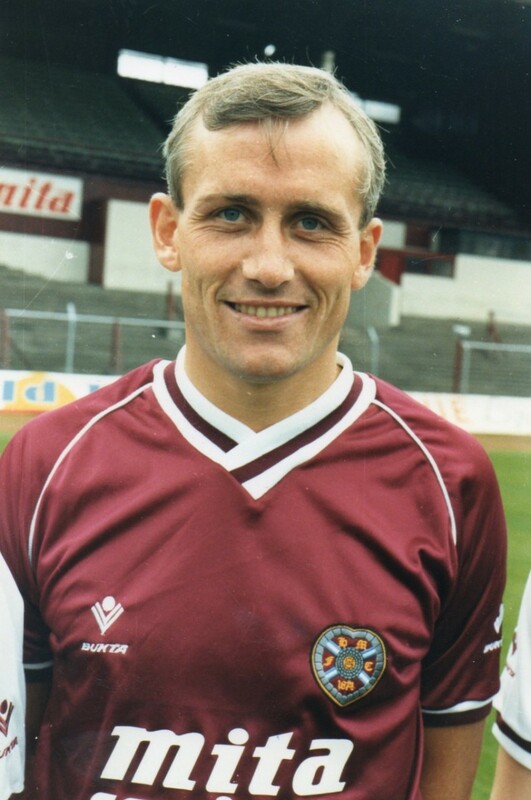 He retunred north in December 1998 and was the top scorer in the Premier Division in 1989-90 and three times he assisited Hearts to runners-up position. Hearts ace striker played in the Scottish Cup Finals in 1986 and 1996, and the League Cup Final in 1996-97. John finally earned a winners medal when he was on the bench at Hearts victory over Rangers in the 1998 Scottish Cup Final. John hit a club record of 214 League goals and he is Hearts top scorer in Europe with 7 strikes. In addition, he hit 27 goals against Hibs which is unsurpassed in the history of Edinburgh football. After a brief spell with Dundee, John went to Livingston in August 1998 and in both a playing and coaching capacity, he made a huge contribution to the progress of the West Lothian club. He became manager of Inverness Caledonian Thistle in 2003 and was an instant hero when ICT defeated Airdrie United in the Challenge Cup Final and then went on to secure the First Division Championship. John was head coach of Hearts from November 2004 to May 2005.